Broadways’ smash hit comes to the Orpheum! Watch for more dates to be announced soon! Lin-Manuel Miranda’s spectacular musical returns to San Francisco! 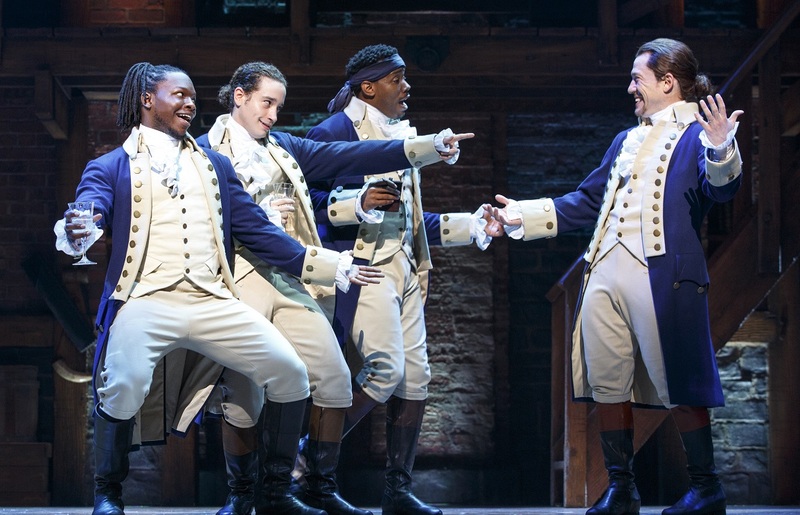 One of the hottest theatre tickets in the country, this show is the story of America’s Founding Father Alexander Hamilton, an immigrant from the West Indies who became George Washington’s right-hand man during the Revolutionary War and was the new nation’s first Treasury Secretary. Featuring an awardwinning score that blends hip-hop, jazz, blues, rap, R&B, and Broadway; Hamilton is the story of America then, as told by America now. This is absolutely must-see theatre! The Wednesday trip will include a lite box lunch served onboard the coach to San Francisco, orchestra seating for the 1pm matinee and dinner on your own at Pier 39. Additional dates will be announced. Call the office and put your name on the waiting list!